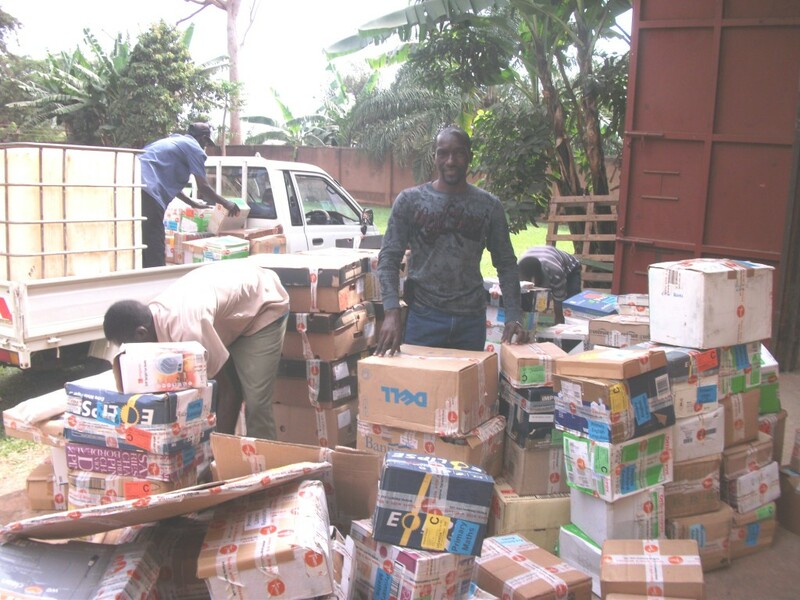 Hello friends and Partners, this is to let you know that a scholastic material donation for three community primary school from Tools With A Mission (TWAM) was collected on 19th June 2012 from TWAM warehouse in Kampala to Kikandwa Rural Communities Development Organization (KIRUCODO) store in Kikandwa village. This week we have distribution to two schools (Kikandwa Church of Uganda Primary School and St. Henry’s Kakukulu Primary School) as per the posting on our Organization Facebook indicate and next week we shall distribute to the last school (Bulijjo Church of Uganda Primary School). The shipment costs and all taxes for this donation was met by Dr. Mike Roberts of UK and we are so grateful for his humanitarian heart. More updates regards the distribution of this donation will be posted on our blog soon. God bless you and you can have a look at some of the photos while picking the donation from TWAM warehouse in Kampala and offloading at KIRUCODO offices in Kikandwa Village.